With the vast amount of job-related advice available online and in print today, the best way to translate it into a thoughtful action plan is to put it in the context of the why of our career. This becomes increasingly important as we move up the ladder and consider our impact and legacy. Finding meaning in our career is a matter of listening to what life wants of us, not just what we want of life. John Schuster, a coach and writer on human development, says that responding to a call is a choice that leaves you no choice. Our purpose sometimes grabs us, shakes us, and refuses to let us go. Responding—and giving in—to that calling or purpose can energize us to achieve amazing things. When we are honest and clear about where we are on our journey, we can move forward more thoughtfully and efficiently, saving years of “soldiering on.” However, not all of us are lucky enough to attune to a higher calling all the time and most people’s lives and careers aren’t linear. Instead, we move through ups and downs in a spiral fashion, riding the waves of intense energy, success, frustration, boredom, change, growth and renewal. Building a “successful” career isn’t just about moving up; it’s also about digging deep. By mining our past and mindfully approaching our present, we can regularly tap into our passions, values, and strengths to design a career that fully reflects what we want our life to be about. If you feel something is missing and want more in your life and career, now may be the time to act. CapitaPartners introduces SpringBoard, a career redesign workshop for executives. For 35 years I have advised and coached senior executives, particularly global executives, through career transitions, big and small, formally and informally. I can remember just about every one of these encounters, so lasting is the imprint that is formed during periods of intense human interaction. If ever you’ve experienced career coaching you will know what I mean. More recently, I’ve thought deeply about how to make an impact on careers in today’s world where we are, in many respects, “contractors.” We can author our own careers, leveraging LinkedIn and other networking sites to promote and monetize the unique experience, skills, networks, qualities, and passions that set us apart and add value to organizations. And so CapitaPartners created SpringBoard, an intensive career redesign workshop for executives. I am pleased to announce that over the next year CapitaPartners will deliver SpringBoard to executives in three cities: Los Angeles, Hong Kong, Singapore and Tokyo. Over two and a half days, a cohort of like-minded executives will move through a series of interactive exercises designed to bring awareness and insights to their career and life plans. The approach is grounded in concepts of adult learning, executive coaching methodologies, and 30 years of practical experience in career decision-making. Through feedback and support, you will come away with fresh thinking and a concrete plan. Our goal is for these experienced participants to learn as much from each other as from the coaches. Our first workshop is in Santa Barbara from October 15-17, 2015. Consider taking a short time-out to focus on the “why” of your career. Visit our website and consider registering. Or email SpringBoard@capitapartners.com for more information. Yesterday a young candidate asked me, “If you were me, what would you do? Go for this new position, stay and get promoted, or wait for something better to come along?” He seemed bewildered, almost distraught with the weight of his decision. We’ve all experienced this feeling. I said to him, think of each career step not as a ladder to climb, a good or bad decision, but as an opportunity to stretch yourself, gain insights, and learn new things. Your career will be marked by the total body of your work. By constantly selecting — devouring — opportunities for personal development (isn’t this what a promotion is? ), you will differentiate yourself, prompting others to take notice because you become a solution to their problem. The result, over time, is advancement. The path is not linear or always up. It is a zig-zag road defined by failures, heartaches, satisfaction, and celebration. Responsibility is heaped on those who don’t always aspire to it. Meanwhile, back to our candidate. Rather than grab every new experience that comes his way, he’ll need to establish his bearings. What is he good at, how does he need to develop, and what is his ultimate destination? 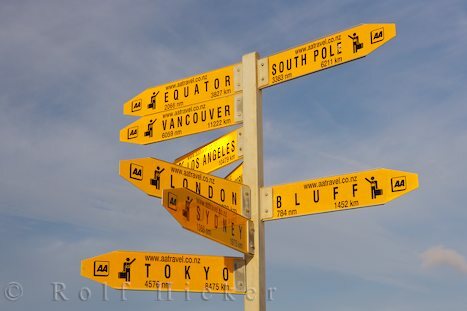 The sign-post marking ‘stay’ or ‘leave’ should be based on which direction provides the best or fastest opportunity to acquire the skills and competencies that are critical to reaching his goals. Waiting for the promotion is a mindset that often results in getting passed over. Clarity of purpose will lead to a life of surprises. Just for fun, take a fresh look at Yojimbo, the Japanese period film directed by Akira Kurosawa. Toshiro Mifune portrays a masterless samurai, or ronin, whose counsel is sought by rival gangs because of his unique ability to provide a solution to each. I’m reminded of the film because the main character also faces a fork in the road. His achievement is measured by his terms.